My heroes! 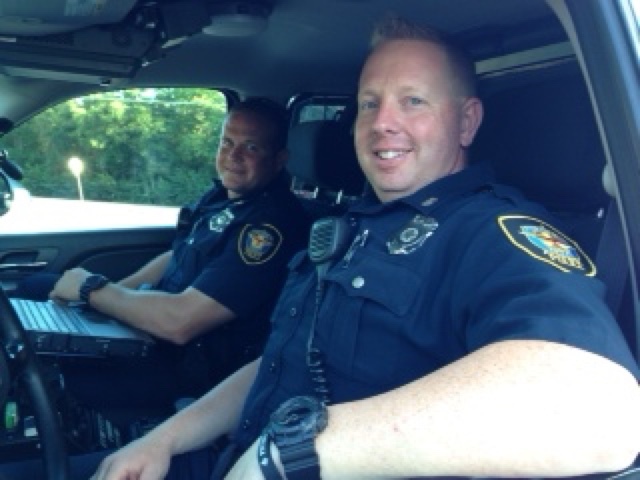 Especially these 2 officers! The police officers on the east side of Fort Worth are the bravest, most patient, and most versatile officers of the Fort Worth Police Department. East side officers never know what they're going to be doing next. The east side of Fort Worth is truly a unique part of town. In a blink of an eye you can go from inner city to wild and western. 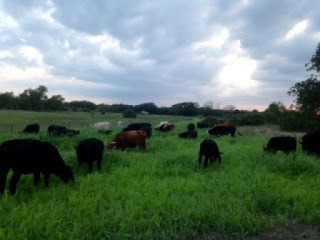 My husband Larry and I run about 35 head of cattle on the east side of Fort Worth on a couple of hundred acres of land in what old timers refer to as the river bottoms. It's a lot of work, but worth every drop of blood, sweat, and tears. Fort Worth is still cow-town after all. One of our biggest challenges is maintaining fence lines and keeping gates closed. There are a lot of fence line and gates in a couple of hundred acres and we have to check these regularly. Trees fall on the fence, flooding knocks out stretches of fence, disrespectful fishermen cut our fence in order to get to the river to fish (respectful fisherman place a blanket over the barbed wire and pass through it), disrespectful people on 4-wheelers cut our gate locks so they can ride all over the hay field we keep plowed and sowed with wheat, oats, and hay for our cattle, and gas drilling companies are notorious for leaving gates open while they're working or mowing right-of-ways. When you drive down Randol Mill Road, it's not uncommon to see this in our front yard or in the hay field on Precinct Line Road. It's a peaceful sight! But at rush hour, at the intersection of Randol Mill and Precinct Line Roads, this is not such peaceful sight! The other day, my policemen heroes responded to a call reference a herd of cattle in the road. And while the cows technically weren't in the road, they definitively were a distraction to drivers. 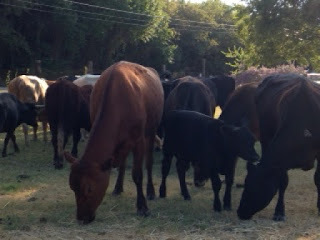 The policemen were quick to respond and within seconds had the traffic under control while my husband paraded part of the cattle down Randol Mill Road as if it was the Stockyards. The other group of wayward heifers were spooked by all of the attention and suddenly remembered the exact location from which they had made their escape and returned home. The disrespectful fisherman had struck again.....more fence line had been cut by the Precinct Line bridge. 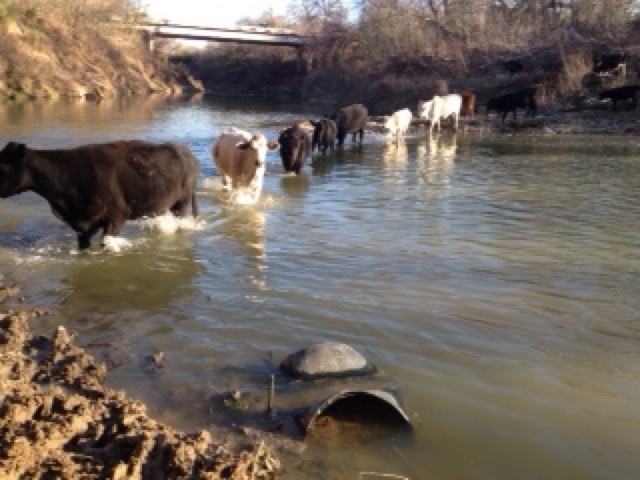 Here are the girls cooling off in the river after their adventure. I can't thank the officers enough for being so professional, safety-minded, understanding, and helpful. I think we too often take our police for granted. They place their lives on the line every second they're on duty working to serve and protect us; and now their lives are at risk even when they're not on duty because of a few bad cops. I strongly believe that if a cop goes bad and for whatever reason doesn't get what's coming to him on this earth, he sure will get it, and then some, when his time on earth expires. As for our east side neighbors who were inconvenienced by our cattle, please accept our apologies. Y'all really are the best neighbors! Like the police, you are patient and tolerant of the challenges associated with living near a working farm in the city. You call, text, and come by the house to let us know when a cow is out, you slow down as you drive by the farm, and you smile and wave as my husband slows down the traffic on his tractor with his hay equipment. Strangers have become neighbors and neighbors have become friends. East side neighbors and police are the best!!! I'd love to catch someone cutting fences!